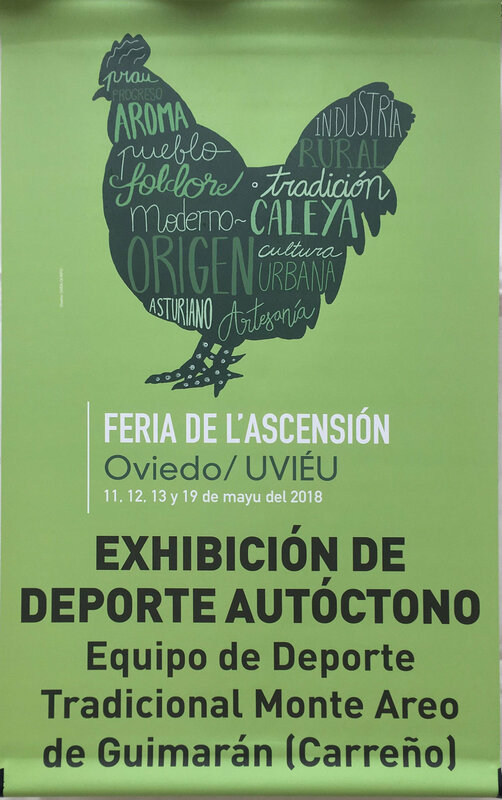 Oviedo is hosting the Feria De L’Ascensión, which occupies the plaza in front of the cathedral along with a lengthy tent-covered pavilion above the train station. The fair runs this weekend and next (May 11, 12, 13, and 19). The day of the Ascension is 40 days after Easter and celebrates the Catholic belief in the ascension of Christ into heaven. 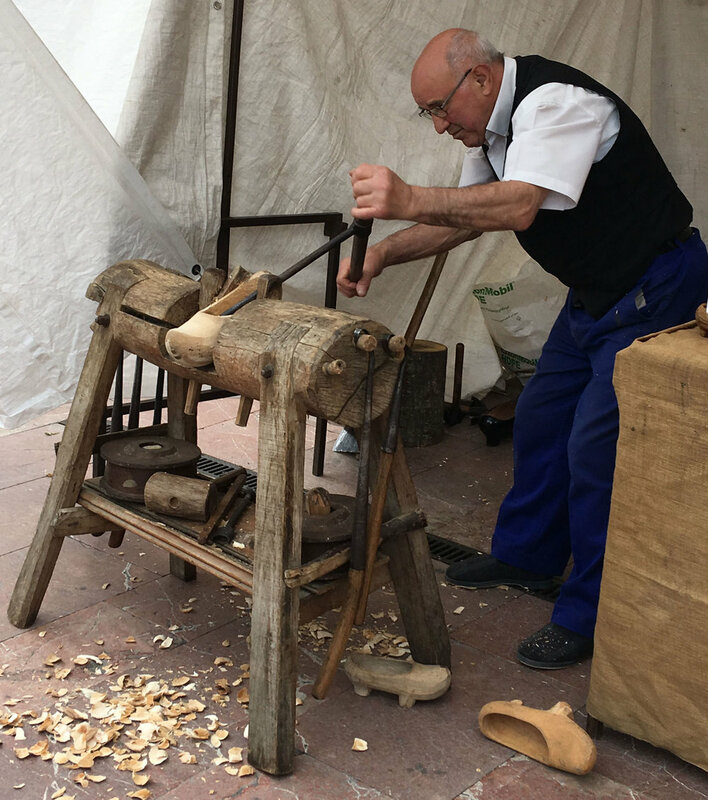 Dating from the sixteenth century, what started out as a livestock contest has grown into a celebration of the traditional culture of Asturias. It draws people from all over the province to sell their artisanal wares, which include cheese, prepared meat products, bakery goods, craft jewelry, leather goods, basketry, knives, wood and stone carving, wooden shoe making, and more. Strolling among the crowds are bagpipers, folk singers, gaita bands, and many people in traditional costumes, including the vendors. 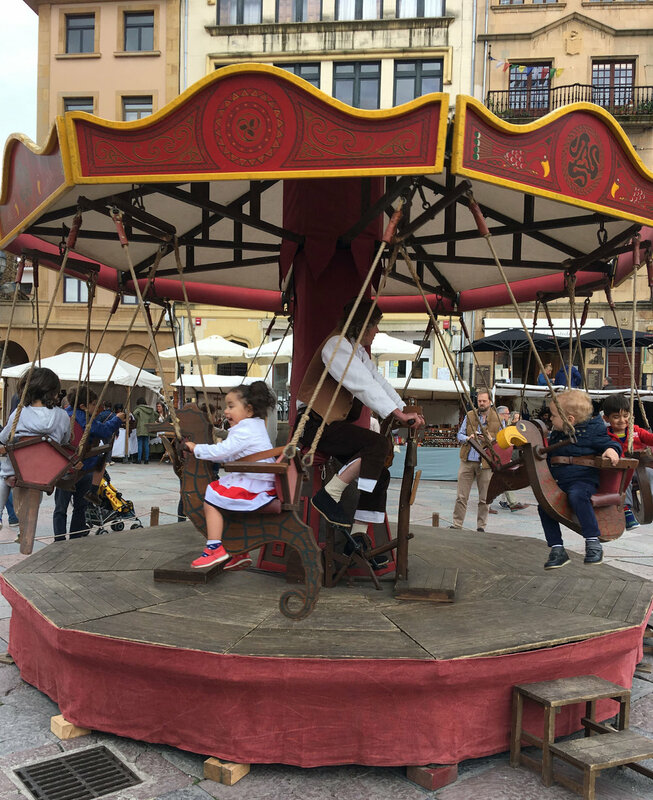 There are numerous craft-making exhibits and engaging activities for kids, including a foot-powered carousel. I am reminded of the county fairs of my native Kansas, but this has an exotic historical twist that is intriguing. It’s a time for people to gather together and renew friendships, trade goods, and buy and sell livestock. While the center of the traditional activities is around the cathedral plaza, the fair spreads to other locations. Here is a slide show of photos taken by Elyn. It will give you the flavor of the event. Enjoy!